This past year, since launching this blog, we’ve made some significant progress, not only in introducing VENNDY to users but also in building this blog’s content with everything you need to know about affiliate marketing as a beginner. 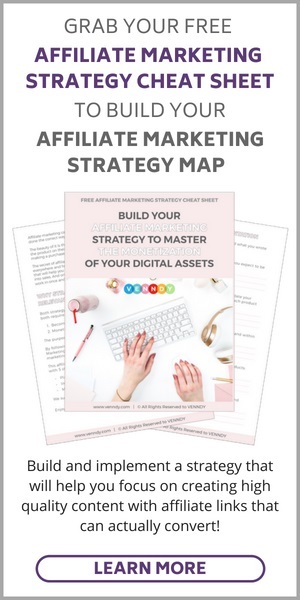 We hope this can be your go-to place for everything you need to know about affiliate marketing with tips, resources, advice, and ideas. How is this blog different from the many other blogs talking about affiliate marketing? Bring Value – creating content with personal insights, which brings value to your audience by inspiring, solving a problem or answering a need. Share Experiences – sharing a full collection of the items and places that make an experience memorable. And yes, you can make money with affiliate marketing in any niche and not just content about blogging! Keep on reading if you want some examples of post ideas that are driven by experience. Be shared either on a blog AND a designated platform such as VENNDY with a shop-like interface or, if you don’t have a blog, then just on VENNDY. When done right, affiliate marketing can be a win-win-win situation, affecting shoppers, influencers, and businesses! WHAT CAN MAKE YOUR AFFILIATE LINKS MORE CLICKABLE? Are you reluctant to click on affiliate links when you see them online? I’ve seen Pinterest group boards and Tailwind tribes who specifically request followers not to post pins with affiliate links. Can you relate? I don’t know about you, but the way I see it, clicking on an affiliate link is a way to support a blogger or someone who has made an effort to give me some value which I wouldn’t have easily found. If someone has put in efforts to research ideas for planning a vacation, created a beautiful combination of fashion items, taken a picture and worked hard to build a following, then clicking on a link they have provided is just a small way to say thank you. So, yes, you can put links straight on Pinterest, but they’d better be creating a real wow effect for someone to click on them. An attractive, beautifully designed pin may drive more clicks, but if what is found on the other side of the pin is just an immediate signup button with no explanation, it will not bring you the desired result. You are better off theming your affiliate links around a concept, bringing in your personality, adding a review, and creating value with the offer you are making. Check out our blog post on How To Monetize on Pinterest With or Without a Website. Maybe you have a lot of products you love, but you don’t have enough substance to create a blog post around them. You don’t want to annoy your readers by simply putting a list of products with affiliate links on your blog – you understand the importance of adding value! – but you still want to use your social reach on Pinterest or Instagram to promote these products. In this situation, whether you have a blog or you don’t, instead of trying hard to create a blog post, you can use VENNDY to create separate pages for these product reviews and promote the page links on Pinterest or other social media. Preferably, you will collate a few products around a theme and then promote the collection; this makes a better impression and is more likely to be clicked on. WHERE CAN YOU SHARE AND DISTRIBUTE AFFILIATE LINKS FOR INCREASING SALES? 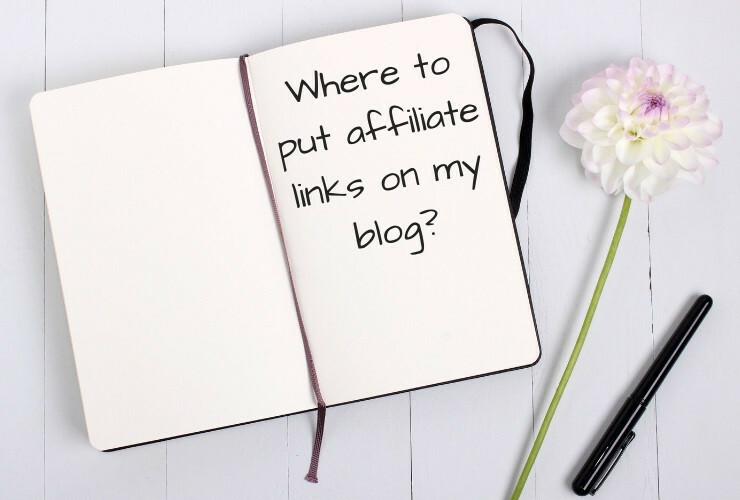 Blogs or websites – These are the most common places for placing affiliate links. It gives you maximum control over your content, as you are only dependent on driving traffic to your site through Google search engines and social media, and by building your community. Instagram – Instagram is somewhat limited as it allows only one clickable link in your bio. However with some work, you can turn this one link into multiple references. If you have over 10,000 followers, you can also use the swipe-up option from stories, but there is no reason to wait until you reach this number of followers. And even then, you could still make the most of your one link in bio and refer people to shop your favorites. Read our blog 10 Hacks That Will Help You Monetize Your Instagram for a few ways to do this. Check out the VENNDY Insta shop feature here to learn how this might be useful for you. Here and here you can read about how to use affiliate links on Instagram. Pinterest – Pinterest is like a visual search engine where people tend to look for inspiration for everyday living. You can use most (but not all) affiliate links directly on Pinterest, but in order to get results, you have to do it right. There are a few drawbacks to inserting affiliate links directly into your pin, although there are some who say it works. Here and here you can read about how to use affiliate links on Pinterest. Facebook – Facebook has a number of different options for placing affiliate links: Facebook pages, groups, messenger, and your own timeline. If you are willing to spend some money, Facebook ads are also an option. Twitter – Twitter is a little limited because of its character limits. In order to see results, using recommendations with affiliate links should be integrated into your Twitter strategy. As mentioned above, this should come with some added value to the reader, namely, some insight or information that is not otherwise obvious. Reddit, YouTube, Goodreads, and other more niched social media. What I suggest doing for these kind of niche platforms and forums is simply mention that all the products you love and recommendations and gathered on a platform such as VENNDY. If someone is interested to find out more they can go check your VENNDY account and shop for any item. Email lists – By creating your own mailing list, you can provide content and affiliate offers to interested readers who signed up for your messages through your opt ins and landing pages. Ebooks and ecourses – Many creators of ebooks and ecourses, either free or paid, insert affiliate links in their products. Niche marketplaces and eCommerce sites – There are marketplaces for travelers, moms, foodies, and so on. 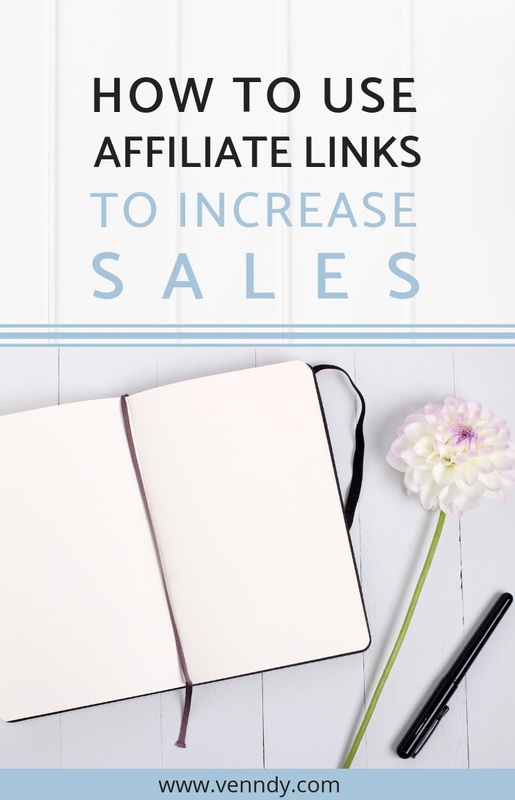 If you are not sure whether you are allowed to share affiliate links directly on the platform, one solution might be to invite users to your blog or another domain where you promote the products you love without sounding too "salesy. Reviews sites – If you love writing reviews, you can add a note whenever you write a review and forward readers either to your blog or to your account on VENNDY, where all your reviews will be gathered, categorized, and organized in a shop-like order. VENNDY is not a sub-affiliation company, and in order for you to enjoy the benefits of affiliate marketing, you need to be an affiliate through one or more affiliate networks. VENNDY currently provides you with the tools and platform to create and share your promoted items. VENNDY is free to join, and once you have created your affiliate marketing shop, you can suggest to your followers that they check it out. Using the LinkCollector, a separate webpage is created for every product or place you curate from around the web. This page is where you give a title and add a description and your review as well as your affiliate link. All the items are then categorized. The interface is designed to suit Instagram or Pinterest, so it gives you the freedom to genuinely connect with others without being pushy or aggressive. Wherever you promote your content, you can integrate, a gentle reminder to your readers to check out your VENNDY, where all you favorite products and recommendations are gathered for their convenience in your affiliate marketing shop. 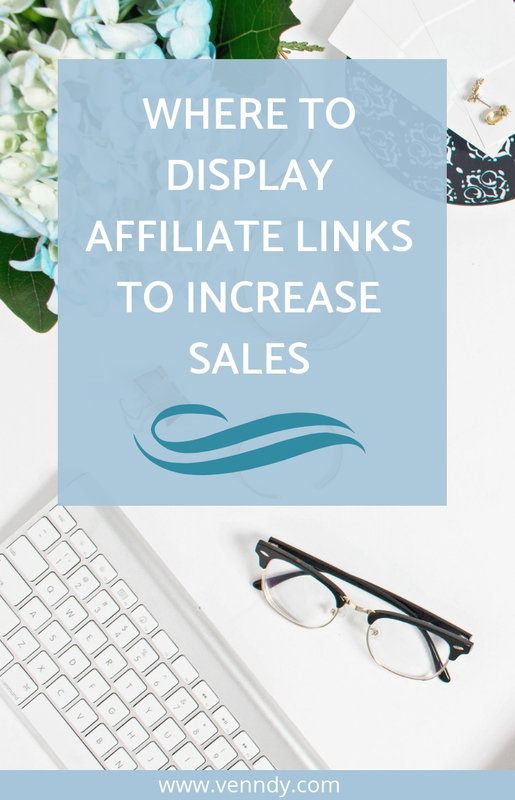 WHERE CAN YOU DISPLAY AFFILIATE LINKS ON YOUR BLOG FOR INCREASING SALES? Text Links vs. Banners vs. Carousels: Which is better? It is hard to say which perform best… text links, banners, or shop-the-post carousels. Based on bloggers shared experiences on blogs and in Facebook groups, banners seem to be at the bottom of the list in terms of performance. They tend to look a lot like ads, so people are skeptical to click them. If you still want to display banners, they could be as an alternative to ads, as they allow you to choose what is being advertised rather than all the ad companies that show different personalized advertisements. As for side banners, many of them are not displayed on mobiles, so while they are good to have for PCs, you still need an alternative for mobile. So this leaves us with text links or shop-the-post carousels. Which of these work better? Well, it depends on the context… If it is a product such as clothing, beauty products, accessories, hotels, or places where an image is important, then having a carousel with the item’s image is crucial. Both text links and carousels aren’t so pushy, and people will probably click on them if they need the item or if they see some advantage in checking it out. They showcase the products discussed in your blog post. They give you an opportunity to add some information about the item and your own review, since when using VENNDY’s tools a webpage is created for every item you upload. This information gives extra value to readers. You can share each of the items directly on social media, although it is better to share experiences in a collection of related items. You can invite readers to save for later items they love once they have created an account on VENNDY. This will extend the content’s lifespan. You can use any affiliate program you want, keeping your blog’s look consistent with one kind of shop-the-post widget. They can include products from self-hosted programs, which are a great source of income for beginners due to higher commission and conversion rates. You can always add items to your carousel or remove and change items to keep it fresh and filled with new in stock products. 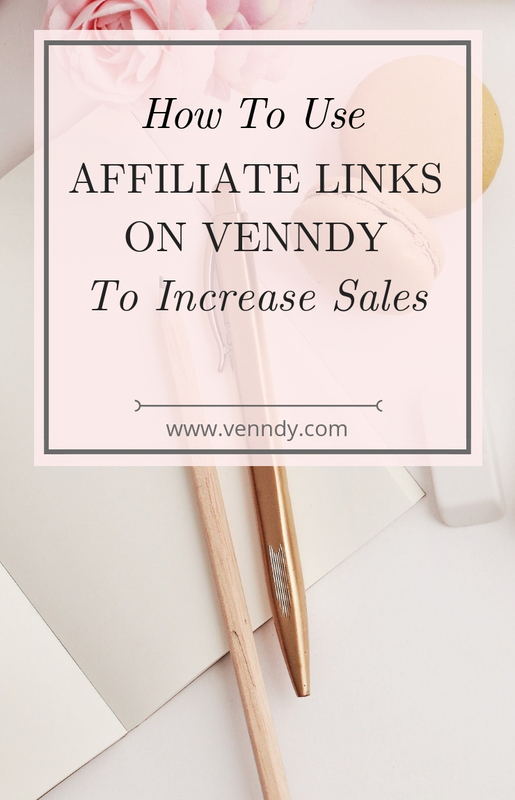 Read more about VENNDY’s tools in our blog post The Best Affiliate Marketing Tools for Monetizing Your Blog, Pinterest, and Instagram. The following ideas can be used for creating a blog post with affiliate products or for creating lists on VENNDY. If you have a blog, you can use lists you create on VENNDY as shop-the-post widgets in your post or promote them separately. If you don’t have a blog, VENNDY can be your platform for blogging and connecting better with your followers on social media and other platforms. Here are some ways you can use affiliate links for promoted products and where you can promote them. A great way to use affiliate links is by sharing products you love. These can be anything; with so many affiliate programs out there, they can range from fashion ("best beauty/fashion products of the month,” "look of the day,” "my new favorites,” "look alike items”) to travel ("best hotels in Paris,” "what to pack for a trip with kids”) and to DIY, wellness, and more. You can curate items and links for whatever suits your niche, where readers can shop for products, places to go, and services. This is definitely not just for fashion and beauty bloggers! It can be for any niche! If you are a mom blogger, you can share all your tips and finds about products you use like kids clothes, toys, books, recipes, and ingredients. If you are an interior designer, you can recommend furniture, home accessories, fragrances for the home, apps for designing your home, books, magazines…. The list is endless; the greater your knowledge, expertise, or personal taste, the more items you can share and the wider your influence can be. VENNDY’s tools can be very helpful for shopping your favorites; it is made especially to help publishers and savvy lifestyle users create a shop with all their finds, connect and socialize with others, and get money for their efforts. Gift guides are great to create and share around holiday seasons, but they are also very helpful throughout the year. Birthdays gifts broken down according to gender, age, and interests are always something people look to for inspiration. If you have special knowledge within a niche, it is a great way of giving some added value to your readers and incorporating affiliate links along the way. You can suggest gift ideas for bloggers, for fitness addicts, for nomads, for DIY maniacs…There is nothing like getting some ideas from someone knowledgeable in the field. Here’s an example of a gift guide for the MomBoss on VENNDY. With online commerce growing, more people look for reviews before making a purchase. If you are like me, you may also use reviews to document your own experiences. I have reviews on TripAdvisor, Shopbop, Booking, and Amazon (to name just a few!). I see it as my contribution to others who have helped me make better online purchases. But I love seeing all my reviews gathered in one place. And I now have my collection of reviews all arranged and categorized on VENNDY. What started as just a review has now become part of my affiliate marketing shop. I simply add an affiliate link to every product whenever I have one. I don’t feel salesy or fake, because these are reviews I would have written anyway to help others make better choices. Reviews are great for almost any niche you can think of: beauty, travel, wellness, culture, art, and more. In my opinion, a review is even more important than a picture. Yes, seeing an influencer wearing a certain item is good testimony but only partial! It says nothing about how the fabric feels, the size, and the colors as they really are. Adding a written review not only provides additional information, it also creates another layer of connection with your readers. So, if you used a product, write a review! If you loved it – your recommendation will be appreciated. If you didn’t love it – you can highlight the pros and cons. It may still be a good fit for someone else. This is one of my personal favorites. If you are an influencer or blogger in the travel niche not using affiliate links is like leaving money on the table. Affiliate marketing is a great source of income for monetizing your content and social accounts. Travel is one of the most evergreen types of content you can think of. Hotels and restaurants last for much longer than fashion items. Commission is higher when someone books a hotel through your recommendation. The travel industry is highly dependent on personal taste as well as the testimonials and reviews of others. So you can use your experiences to build a post around a certain destination with accommodations, places to visit, where to shop, and items to take with. With VENNDY you can build an affiliate marketing shop where all your recommended cities, restaurants, must sees, travel gear, and travel apps are arranged and can then be shared on Instagram, Pinterest, your blog, and travel platforms. You will see a resources page in most of the blogs you visit. It is a great way of adding affiliate links of products and tools that readers keep on asking you about. Good examples are software or tools you’re using for the operation and promotion of your blog. Like photography equipment (cameras, bags, editing tools), tools for managing social media (Tailwind), tools for running your blog (Convert Kit or WordPress themes). Below you can see a carousel with some of the tools I use for this blog which I love and highly recommend. By clicking each of the images, you will see its page on VENNDY with my review; by clicking SHOP, you will be directed to their site. Tutorials are one of the popular methods used by bloggers to add value and make the lives of others easier when using new software or a new product. How to use Tailwind’s Tribe, for example, or explaining the differences between two different tools: Convert Kit and Mailchimp – which is better? Or comparing two different ecourses, both teaching how to use Pinterest. Someone who has used two courses can use their affiliate links for both courses. By highlighting the pros and cons of each, they let readers decide which is better for them. It’s the value they give with their thorough and comprehensive information that makes readers want to click on the links and check out the products. We hope we’ve inspired you to share your experiences with others, add value, and create great content from travel, wellness, crafting, reading, or entertainment that can help others make better decisions. If your content is helpful, your readers will be more than happy to use your affiliate links; it costs them nothing, and you get some recompense for your good work. We hope you will use VENNDY, a social marketing platform, a three-sided marketplace, which aims to help shoppers, marketers (publishers, influencers, bloggers), and businesses find the perfect match with a win-win-win result! Lastly, remember that, wherever you promote your affiliate link, make sure to look into your affiliate programs guide to ensure that you can use their links on the platform you’re using for promotions. Amazon in the United States, for example, are not so clear about using their affiliate links on Pinterest, so make sure to check on their site or with someone you trust.